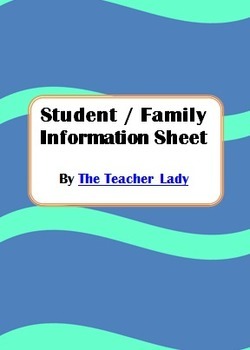 This student information sheet will help you get to know your students and their parents at the beginning of the year. 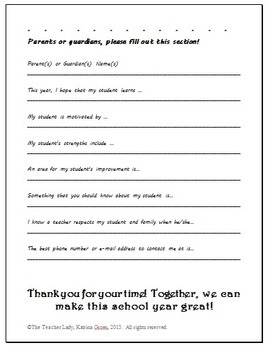 It includes a "student section," where the students answer prompts like "My favorite subject is..." and a parent section that includes prompts such as "My student's strengths include..." This is a great resource for your Back to School night or to send home with your students on the first day of school! 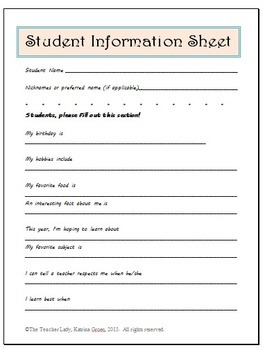 You might also be interested in my back to school packs!